Fill out your style profile & submit a styling request Tell us about your style, size & price preferences & then submit your request to be styled. You’ll hear back from us within 2-3 business days. Review your selected items & pick what ships Your stylist will send you items to review. You pick 5 items to be shipped to your doorstep. It’s free shipping & returns. No subscription required. Keep what you love & send back the rest Try on your hand-selected items & keep what you love! We send you a prepaid envelope for easy returns. Only pay for what you keep! YOU to pick the styles that get shipped to you! After your stylist has put together your outfits, you preview and select which ones ship - we don’t randomly select styles for you to try without seeing them first. We offer budget friendly clothing without compromising on quality. Our vendors are ethically sourced from around the world. If you keep 3 or 4 pieces, you will get 25% off and 30% discount if you keep all 5. How long will it take to get my box? Once you’ve filled out your Style Profile, your stylist will get back to you with curated looks to review within 2-3 business days. (A note on timing: While we try extremely hard to stay within this 2-3-business-day window, sometimes we need a little extra time. We’re a super small team and if we get a ton of new requests all at once there are likely to be delays. Thank you so much for understanding and hanging in there with us!) After you have selected items to be shipped to you, you’ll typically receive your box within 10 - 12 days. I don’t like anything my stylist picked. Now what?! Oh, no! We’re so sorry you didn’t like the items your stylist picked for you. We get it, though. Sometimes we don't get your style just right or we pick items that you already have in your wardrobe. We're human after all - no bots here at FASHOM ;). We'd love a second chance! Please cancel your current styling session and then contact your stylist via email at stylist@fashom.com. We’ll follow up as soon as possible! Does FASHOM support any nonprofits or charities? Yes! For every box sold, we donate $1 to Second Chance Rescue NYC. This is a new initiative for us, and as a 100% cruelty-free startup, we can’t think of a better way to give back. Do you style plus size, petite & maternity? Yes! Our goal is—and has always been—to style every body! Let your stylist know your size, and they will find options that fit your style as well as size requirements. If you’ve signed up after April 13, 2019, you will have ONE free styling session to try our service risk-free! After your first free styling session, you will be charged a $15 styling fee; however, this fee is applied as a credit to your purchase if you decide to keep an item from your order. This fee applies at the time of submitting a styling request, if you cancel your preview session the styling fee will be applied. Unlike other similar services, we style you at the time of preview and not at the time of shipment. I got my FASHOM box, do I get any discounts? Yes, of course. We know women love to bargain so we’ve taken care of that for you. We try to make sure we give you the best quality of products at a good price. Plus, you get 25% for keeping THREE pieces and 30% discount for keeping all FIVE! Simply select the pieces you want to keep on your checkout screen and return the rest in the pre-paid envelope. You can also use any available credits here. For each friend that makes a purchase on Fashom, you receive $10 and they’ll receive $10 too. I've been very pleased with Fashom since my first box. I love that there is always something new, fresh, and unexpected. The budget-friendly styling is much appreciated. I started with Fashom from their very first launch and I have watched this company grow and get better and better with each box I received. I'm impressed with the beautiful clothes and at such an amazing price. I look forward to getting my clothes every month! 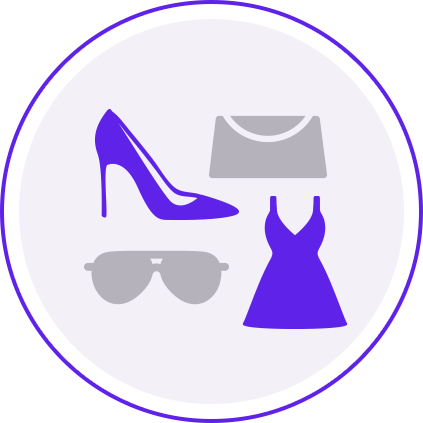 If you are looking for a fun, trendy, budget friendly style box you must give Fashom a try! With the option to view and select your pieces from collections curated by your stylist you are almost guaranteed to get items you love and fit your own personal style. Don’t see anything you like, no worries, just let your stylist know and they will make sure you have different choices that suit you. From denim to dresses you will be able to get pieces for work or play. Prices are reasonable and you get a discount if you pick three or more items to keep! I started my subscription last April and I am hooked! 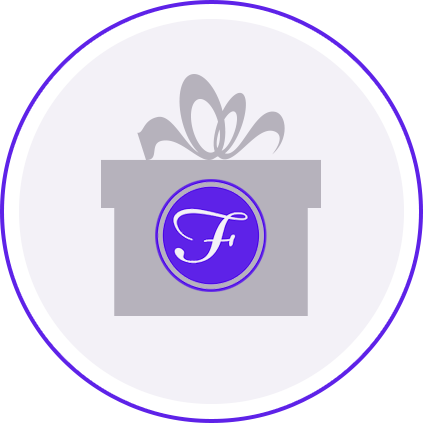 I am enjoying my Fashom subscription box. I have received some beautiful staples to my wardrobe. I travel with many of the pieces I have received and get many compliments. The service is so convenient and affordable. I love that I can choose some of the pieces my stylist picks. Always excited for the next box!